International Religious Liberty Association | Why We Must Resist the Impulse of "On to the Next Thing"
Why We Must Resist the Impulse of "On to the Next Thing"
They're considered by many to be the most dangerous terrorist organization in the world. They have killed more than 10,000 people just in the last five years. Their victims include citizens from at least 15 countries, believed to encompass a wider swath of death than has previously been "achieved" by any other terror organization. Their entire reason for existence is to wage global jihad, a horrific raison d'etre at which this group is all too effective. It's no wonder, then, that civilized nations have joined forces to root out and eradicate this evil from the world. Except that's hardly the case. Given recent around-the-clock media coverage, you could be forgiven for thinking I was describing ISIS, the current global scourge. But I'm actually talking about Boko Haram, a Nigeria-centered group that not only has terrorized that country's Christians -- and to a lesser extent, Muslims -- but murdered innocent civilians from many other countries as well, as mentioned above. While you may not have immediately recalled their name, you'll certainly remember Boko Haram's most highly publicized act of terror - abducting more than 270 schoolgirls from their boarding school in northeastern Nigeria in April of this year. 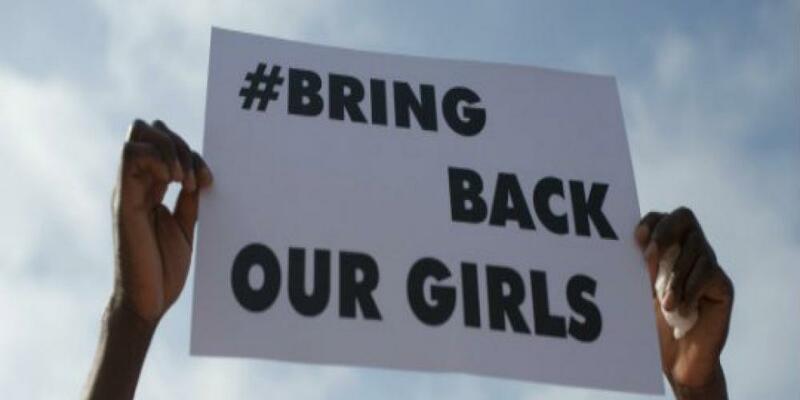 Global outrage immediately followed - remember the hashtag, #BringBackOurGirls? - but predictably, we all soon moved on. Unfortunately, while 57 of the girls managed to escape shortly after the kidnapping, most of the rest remain in captivity. Their plight is ongoing, severe and very real, but now overshadowed by more recent events. The reality is that the world is a big place and evil lurks in many corners. It's hard to find the emotional bandwidth to care about each and every new report concerning religious persecution in one foreign nation or another. Even more difficult: sustaining the emotional energy to continue caring about and -- better yet -- advocating for solutions in situations you cared deeply about initially. Including terrible situations like that faced by these Nigerian girls. But while it runs counter to human nature, it's absolutely imperative that we keep remembering, keep caring, keep acting, in order to keep the attention of those in a position to help ... focused on resolving problems like this. In my position as director of legislative affairs for the worldwide Seventh-day Adventist Church, a significant portion of my work focuses on religious freedom, including closely monitoring what's happening around the world. More than that, though, I collaborate and strategize with many other organizations about how to protect the rights of religious minorities -- not just fellow Adventists, but individuals of other faiths, as well as those who choose not to believe. I know first-hand how easy it is for governments and others in authority to not act, to ease up, to stop working on resolving difficult issues once the world moves on. That is why persistence and finding fresh approaches to sustaining and reviving attention is so important. Before attention can be sustained, it must be gained in the first place and therein lies a key challenge. With religious oppression a daily occurrence in many parts of the world, it is difficult to shine a spotlight on each and every offense. For example, few people likely are aware of the kidnapping of a parish priest in Syria this week --along with approximately 20 other Christians -- by a group affiliated with the Islamist Nusra Front. Sadly, this outrage fits all too well the profile of a religious freedom-related transgression from which the world will quickly move on -- if many noticed to begin with. The priest, Father Hanna Jallouf was abducted from Knayeh, a Christian village near the border with Turkey. Reportedly taken along with Father Jallouf were a number of young girls and boys. Heightening the tragic nature of this situation is the fact that the Franciscan order to which Father Jallouf belonged had been present in Knayeh for more than a century. As we have established, terrible events are happening around the world constantly, most of them out of public view. So as the news media continue to focus on the world's struggle against ISIS (an important fight, to be sure), I encourage each and every one of you to remember that ISIS simply is the tip of a much deeper and much larger iceberg. Father Jallouf's situation is just one of dozens of other serious infringements on religious liberty in recent weeks alone. Boko Haram itself has continued to commit other heinous acts since abducting the schoolgirls in April, including the killing of at least 11 parents of the kidnapped girls, the kidnapping of additional groups of girls and boys, and the taking over of several towns in northeastern Nigeria. Yes, it's difficult to remain vigilant, but remain vigilant we must. Without the world's attention and pressure to successfully resolve crimes against religious freedom, I am certain that solutions will not be found. I ask all people of faith to keep praying, yes. But also to keep acting; write letters to government officials, blog, post on your social media pages, provide financial support to groups dedicated to religious freedom. Together, we cannot only remember the plight of the oppressed around the world. We can help keep the world focused on finding solutions.